You might well enjoy neonbunny's latest set, "A Bunny Named Starfox", over in this room (85.2MB). Be warned, the track commencing around 7m45 - probably La Bionda's "I Wanna Be Your Lover" - is especially catchy, but it's all good. An article on the growing popularity of competitive rabbit jumping notes that "a Danish rabbit is the current world record holder for both the long jump, at 9.8 feet (3 meters), and the high jump, at 3.4 feet (one meter)". So, the Captain Jack spinoff Torchwood does indeed seem to be for real. I'm quite looking forward to it, provided, as loganberrybunny fears, it doesn't mark a shift of the mature elements of Doctor Who exclusively into Torchwood, kiddyfying the original. I'd be surprised if that happened, though - the Powers That Be know that the show is a winner as it is, with no need for diddling around. Hopefully RTD will have a hand in the show, and lend it the playfulness of QAF. 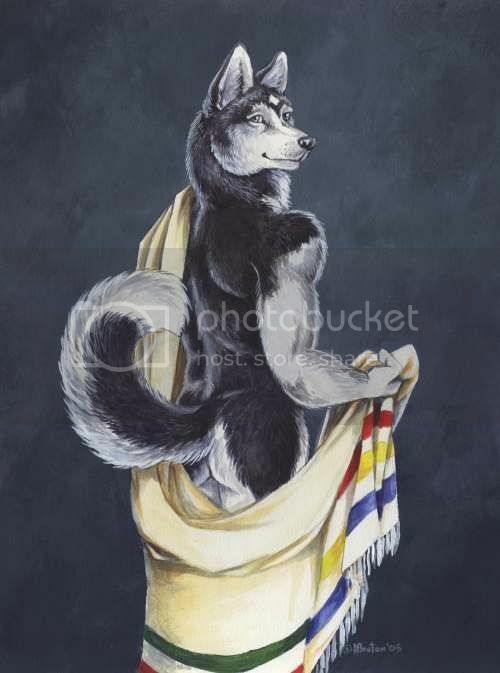 I considered huskyteer and kaysho might appreciate this piece of artwork. Quite a nifty Guinness commercial - "noitulovE". Is there a way to map alt-T to function as ctrl-T in XP Pro? Using OmniWeb, I'm used to using my left hand's thumb on Command (beneath X), index finger on T, but that's a bit awkward with Control instead. What do yon seasoned Windows users do? In Viaggio con Che Guevara - "during the filming of The Motorcycle Diaries, Minà directed the behind-the-scenes Travelling with Che Guevara, where, fifty years after the original adventure, Che's actual companion, Alberto Granado, relives their fascinating journey. The result is a passionate chronicle of Granado's memories interspersed with unique footage, and vivid memorable moments with the actors Gael Garcia Bernal (Che) and De la Serna (Granado)." Historias del Desecanto - "In a limbo between centuries, the world is devastated by the Disenchantment. In this fantastical context, three characters meet in the labyrinths of their dreams: Ainda, a bat-winged artist; Diego, a filmmaker whose innocence resides in his belly button; and Ximena, an adolescent in full sexual awakening. Together, they experience a postmodern, gender-bending loss of sexual innocence in this mythical love story." Un Buda - "Torn apart my the disappearance of his father at the hands of the military in Argentina's Dirty War, Tomàs takes refuge in the Buddhist doctrines his father practiced. Leaving his previous life behind, he travels to a Zen temple in search of a spiritual master. Un Buda is an original treatment of opposing concepts such as the earthly and the divine, and East and West." .. and then there's Nov 9/10's double bill of Barbarella and Danger: Diabolik. How can I possibly miss that? You don't have to have opposable thumbs to know the comfort of company - "An equal-opportunity mother, Giselle encourages Finnegan, an orphaned squirrel, to nurse with her two-day-old litter of five in Seattle. Finnegan mostly uses a bottle but still snuggles with his litter mates." Whyfor are you in the California? True enough.. and we all know what happened the last time California elected an actor as governor. Although some might say there's little difference between "actor" and "politician"..
Guinness is still crap though!